Black Panther, Marvel's latest comic to make the jump from print to the silver screen, marks a major and sorely overdue milestone—it is the first in the studio giant's history to feature a black hero and a majority-black cast (both African and African American). The story follows T'Challa aka Black Panther, King of the futuristic African nation of Wakanda, as he leads his country in the fight against a band of evil doers, backed by his army of women warriors, the Dora Milaje. Last summer, when the blockbuster hit Wonder Women debuted, theaters across the country held female-only screenings. These shows of solidarity provided a place for women to celebrate one of the super hero first movies with a female lead together and enjoy the film without drooling commentary from men in the audience. A similar phenomenon is underfoot now in the buildup to tomorrow night's debut of Black Panther. 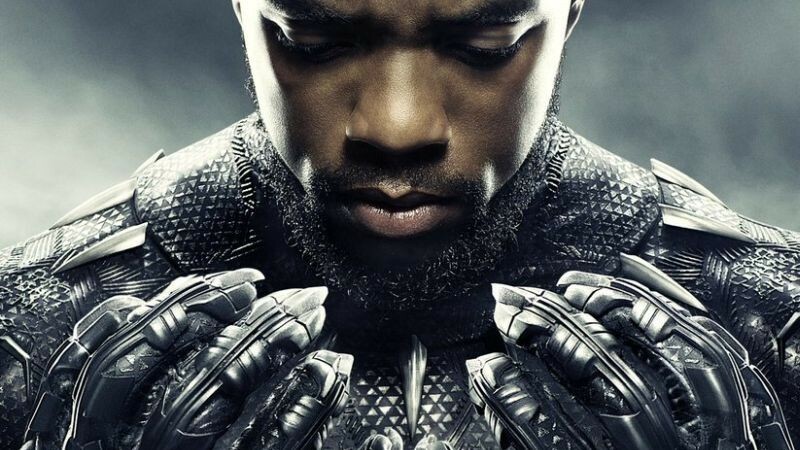 People will gather on Friday, February 16 at the Regal Hudson Valley Mall Theater (and at theaters across the country) for the Black Panther Movie Takeover. According to Black History Month Kingston's website, "This is a celebration and showing of support, using our dollars to show Hollywood that black actors can engage a following with high box office numbers as well as other cultures." New York Times film critic Manohla Dargis, "Part of the movie’s pleasure and its ethos — which wends through its visuals — is how it dispenses with familiar either/or divides, including the binary opposition that tends to shape our discourse on race." Micah Blumenthal, a local activist and entrepreneur, was part of organizing Black History Month Kingston's movie takeover. "It's no secret that many cities across the country are struggling with segregation and the Hudson Valley is no different. More than that, there is a lack of friendly spaces for POC to live, create, meet, organize, and just be," he says. "Physical space aside, the media has done no better. Some you may have heard me speak during the TMI Project event—Black Stories Matter. I spoke of growing up and watching the black characters die first - always. I spoke about watching that change with shows like Luke Cage and how that felt to be able to watch that with my son. I spoke about super heroes, black super heroes, like my grandmother. But I also spoke about how I miss going to a movie theater filled with black people. My people. The feeling of being in majority for something so simple as watching a movie." Both in treatment and storyline, Black Panther is a rallying cry for black empowerment and agency and a symbolic milestone in the film industries white-dominated history. Critic Dargis says of the film, "Race matters in 'Black Panther' and it matters deeply, not in terms of Manichaean good guys and bad but as a means to explore larger human concerns about the past, the present and the uses and abuses of power. That alone makes it more thoughtful about how the world works than a lot of mainstream movies, even if those ideas are interspersed with plenty of comic-book posturing. It wouldn’t be a Marvel production without manly skirmishes and digital avatars. Yet in its emphasis on black imagination, creation and liberation, the movie becomes an emblem of a past that was denied and a future that feels very present. And in doing so opens up its world, and yours, beautifully." Tickets for the movie can be purchased online or at the theater.